Under the hot desert sun of Indian Wells, Serena Williams was not the only American competitor making a long awaited return. Over in the men’s draw, Mardy Fish would make his first appearance anywhere since the summer of 2013 against a younger compatriot, Ryan Harrison. Fish’s time away from the sport have been largely due to problems with anxiety; the former No. 7 been forthcoming in discussing those issues with the press, providing a rare glimpse into an athlete willing to break the taboo of discussing mental health. This would not be the first time that Fish has spoken out – one prime reason why his return has been so heralded by fans. But first and foremost, let’s take a look at how his game has made him a key figure on the tennis landscape. 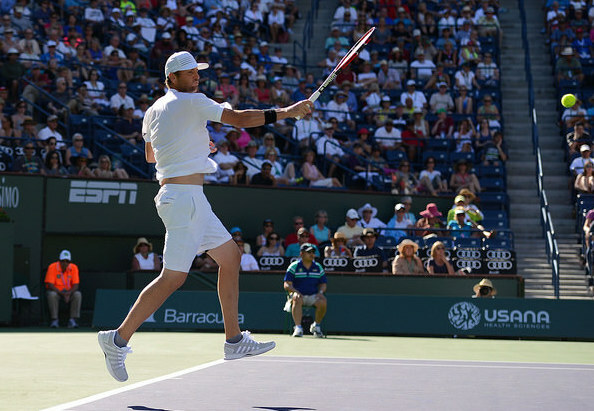 Much like his good friend Andy Roddick, Fish has an aggressive and fluid serve that protects him from getting broken too often and puts pressure on his opponents to hold firm in their own service game. Though he does not produce quite the same power as Roddick – or come from the same dazzling heights as John Isner – his is an effective weapon that supports a well-rounded game. Off the ground, Fish’s two-handed backhand has long been his most effective shot. His forehand has tended to lack the topspin necessary to keep it secure, although it certainly improved later in his career. At the net, Fish looks extremely comfortable hitting sharp, neatly constructed traditional volleys. The serve-and-volley strategy may lack ubiquity in the early 21st century, but Fish has been one player successfully keeping it alive. The results have been solid, albeit not dazzling. At the major tournaments, Fish has reached three quarterfinals – one at each, except for the French Open, where his best result was a third round appearance in 2011. After all, clay has hardly been a playground for American tennis. In fact, it is on the courts of the United States – specifically Atlanta, Delray Beach, Newport and Houston – where Fish has always looked most confident, and where five of his six ATP World Tour singles titles have been won. His only on foreign soil was the first title of his career, at the Stockholm Open in 2003 against home favorite Robin Soderling. He also reached the final of 2004 Olympic games, losing the gold medal match to Nicolás Massu in Athens. 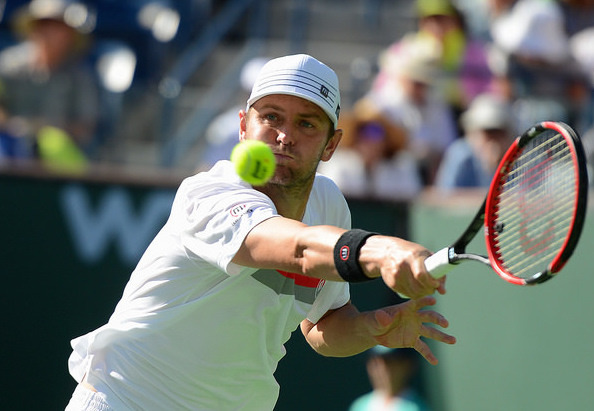 What does dazzle about Mardy Fish is his resolute will to compete. Throughout his career, the American has struggled with injury and illness, heatstroke and mental health struggles. Fish is a professional tennis player who has twice undergone heart surgery and still managed to maintain relevance, form, and energy. That is not a common feat – again, look to Williams, who shares his history of heart ailments, suffering a life threatening scare herself. Fish has not just returned from injury and resumed play, either. He has often come back an improved player – the time away used not merely to regain fitness, but to also to find areas where his body or game needs tweaking. His forehand has never been a weapon, but it has evolved from weak to reliable. His movement and athleticism has looked better since 2011, when Fish shed considerable weight to achieve better agility on the court – it paid off, and he finished the year at a career-high ranking and in the mix at the ATP World Tour Finals for the first time, at 29. Now aged 33, Fish doesn’t look like he has any intention of going quietly into the night – his appearance at Indian Wells was short-lived, but impressive – pushing Harrison to a final-set tiebreak. The game is still there, he can still play ball. It was fitting that Fish return to the sport in the desert too, the scene of perhaps the greatest win of his career; he dominated Roger Federer, 6-3, 6-2 in the 2008 semi-final and went on to play reigning Australian Open champion Novak Djokovic tough in the final, losing, 6-2, 5-7, 6-3. These are strong words, and brave ones, at that; mental health disorders are often underplayed or misunderstood, and speaking out publicly about them can lead to backlash. Fish is no stranger to speaking out about important issues – in 2011, at the height of the backlash against Jason Collins’ coming out, the American was among the first wave of ATP players to join Athlete Ally and publicly support the rights of gay sportspeople – particularly encouraging gay youth to engage in sport. Mardy Fish may not be a Grand Slam champion, but his career is one that deserves to be remembered. He is loved for his bravery, his constant desire to improve and compete, and for the strength of his game, as much as his will. It remains to be seen how much more Fish will bring to the professional tour. As a viewer, one cannot help but feel that anything from this point forward is a bonus – a further sprinkling of solidity on an already well-constructed career. For as long as he plays, Fish will likely have no such vision of his remaining time. He’ll play to win, to continue to carve out his place in tennis history. 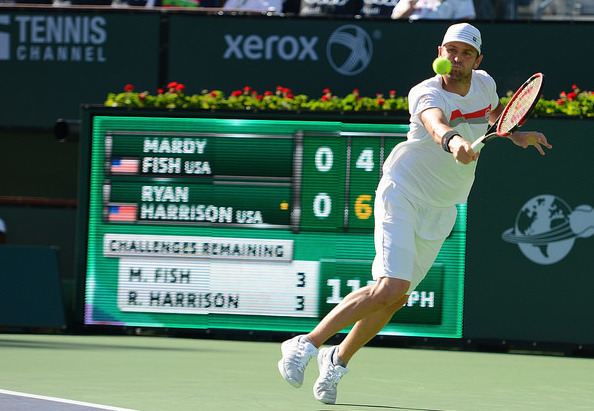 What do you think of Mardy Fish’s comeback? Sound off in the comments!